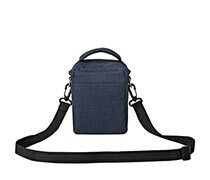 Whether around the globe or around town photographers out for a casual day of shooting, and in search of a lightweight way to store and protect their mirrorless camera system will appreciate this attractive slate blue Scout SH 100 AW Mirrorless Camera Bag from Lowepro. Inside the padded main compartment is room for your camera with a mounted lens. 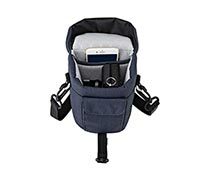 The adjustable, touch fastening divider system facilitates organizing gear to the user's specifications. Along side the main compartment is a custom embossed, Tricot lined, slip in pocket for a smartphone. The shape of the top of this pocket deters dust, while the soft lining helps prevent scratches and abrasions. As an added benefit, the gray colored lining makes locating items in low light easier. 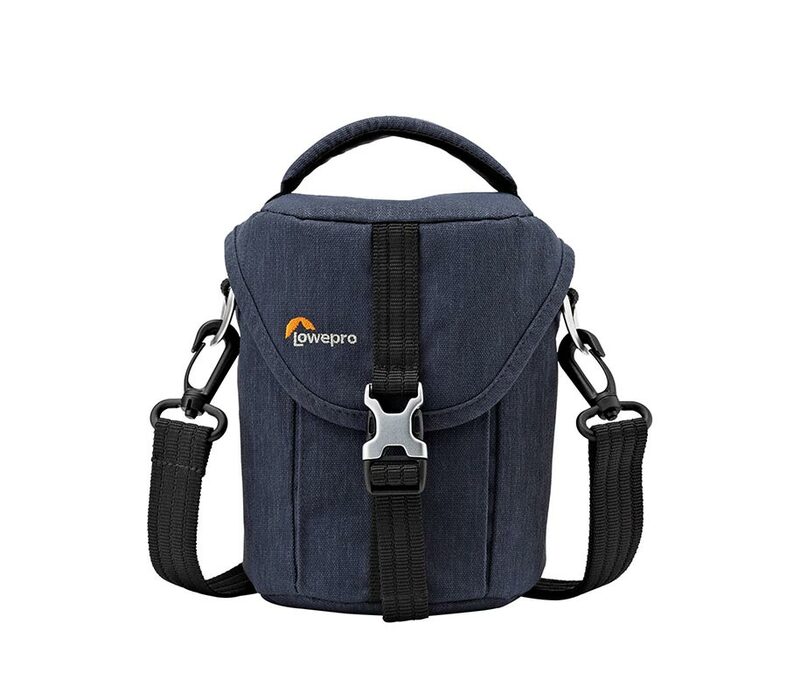 Photographers may take comfort in knowing their gear is safely secured from accidental spillage by a handsome, silver, metal buckle on the front of the bag. 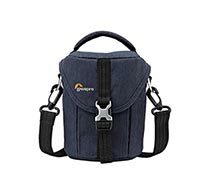 A well designed bag the exterior front has an accessory pocket with a large, touch fastening flap. Your versatile SH 100 AW may be carried by the convenient, padded grab handle, or worn with the adjustable shoulder strap. 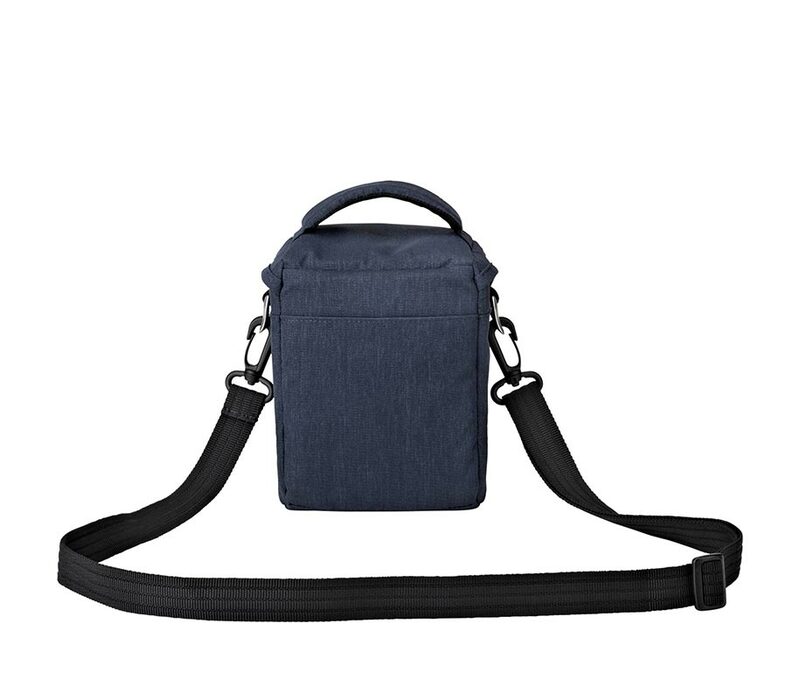 For added comfort, the strap has a removable pad, which slides for optimal positioning. To avoid annoying strap twists, the strap attaches with swiveling snap-hooks. 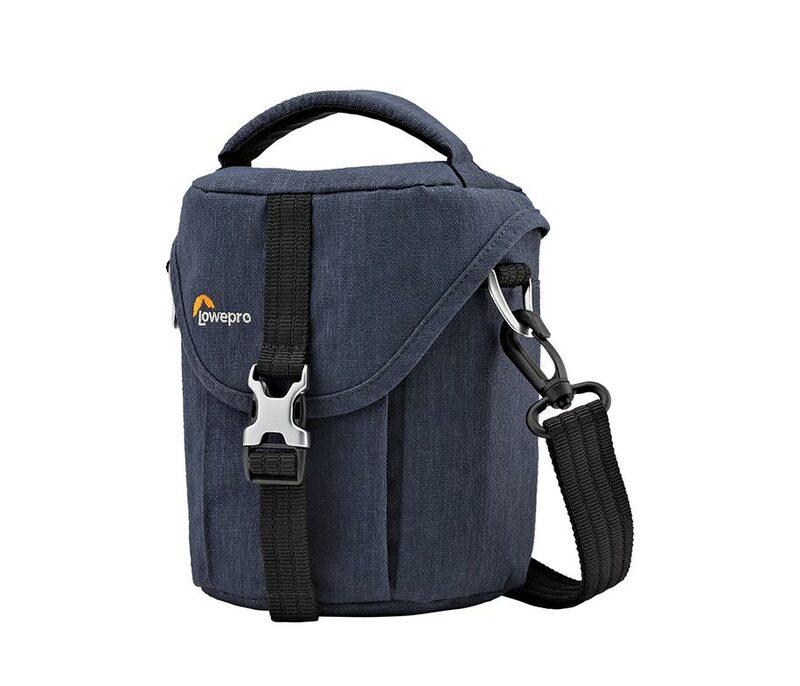 Constructed from vintage looking Cotna 600D and 200D polyesters, this fine bag is both strong and durable.